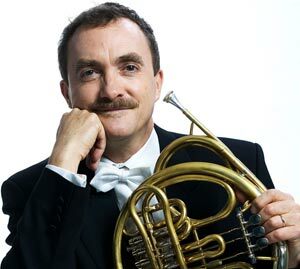 Hector McDonald has been principal horn with the Vienna Symphony Orchestra and Concentus Musicus Wien, performing on the Vienna, Baroque, Classical, natural, and modern double horn. Over his 45-years playing brass instruments, he has also played tenor horn (alto horn in the US), euphonium, and trombone. He recently retired from the Vienna Symphony Orchestra (1989-2018) and as Professor of Horn at University for Music and the Performing Arts in Graz, Austria (1997-2018). Hector was born in Toowoomba, Queensland, Australia in 1953. He studied with Alan Mann and later with Campbell Barnes and Hermann Baumann. He played in the RAAF Band and the ABC Training Orchestra before becoming a member of the Berlin Philharmonic 1976. He returned to Australia in 1980 to teach at the Canberra School of Music. His playing and teaching have influenced horn playing in Australia and around the world. He appears regularly at International workshops and seminars. Hector has performed as soloist with leading orchestras in Europe, the US, South-East Asia, and Australia. He is professor of horn at the University for Music and the Performing Arts in Graz, Austria (kug.ac.at) and appears regularly at workshops and seminars around the world. He has recorded solos and chamber music, including Weber's Concertino and Mozart's Sinfonia Concertante K.297b on natural horn as well as concertos by Haydn, Telemann, Förster, and Teyber. More recently, he has performed as Principal Horn with the Australian World Orchestra with Zubin Mehta, Sir Simon Rattle, and Simone Young. Hector received the Punto Award at the IHS symposium in Brisbane, Australia in 2010 and was elected an Honorary Member at the IHS symposium in Muncie, Indiana in 2018.